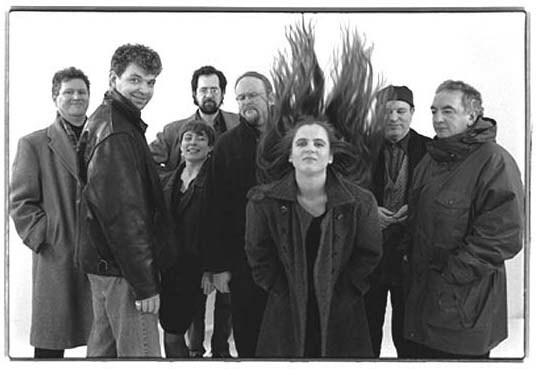 The Cauld Blast Orchestra were formed by clarinettist Karen Wimhurst in 1989 to play her music for the show “Jock Tamson’s Bairns” by Communicado Theatre Company. 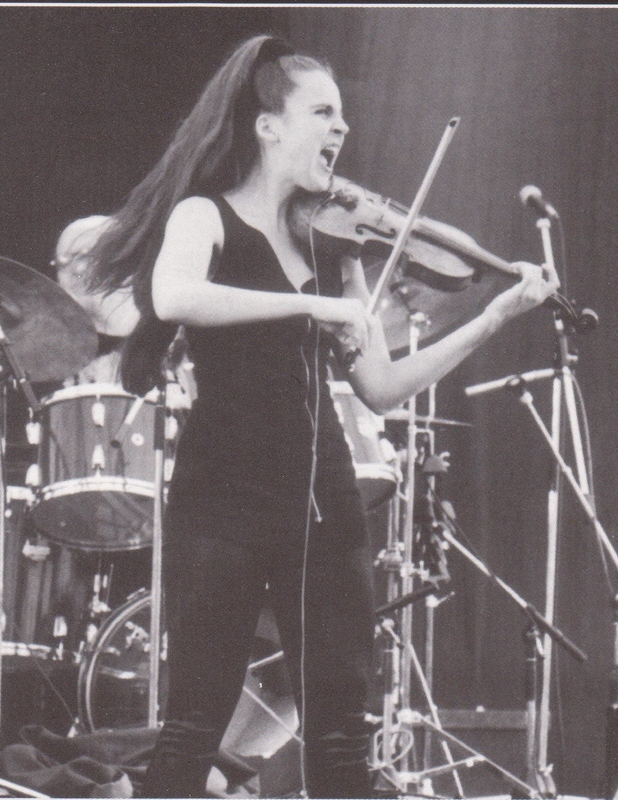 The success of this production, and the strength and beauty of Karen’s music, inspired the band to continue. 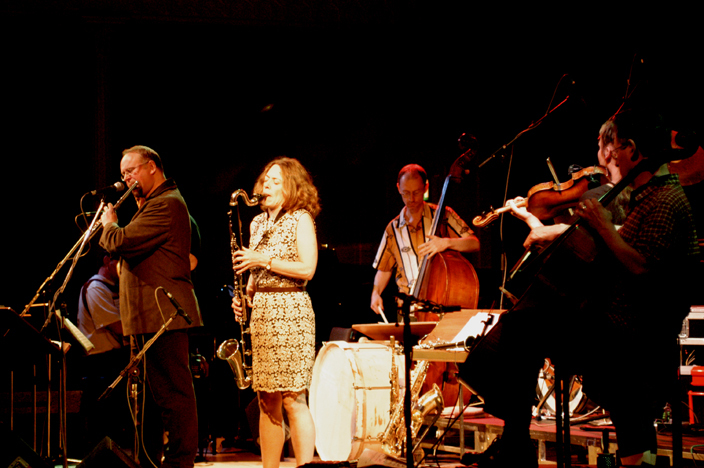 Over the next 15 years the group built up a cult following, based on their heady mix of jazz, folk, classical and rock, not to mention the odd tango or march for good measure. Iain Johnstone and Steve Kettley were soon to become the Orchestra’s most prolific writers, with the others also contributing regularly. For the vastly different composers, the incredible array of instruments played by the eight (later nine) musicians provided a fantastic palette to work with. The promo phrase “unchartered territory, born in Scotland, but without frontiers” was validated with every performance. These included WOMAD, Celtic Connections, Stockholm Koncerthuset, London Qu.Elizabeth Hall, Huddersfield Contemporary Music Festival, BBC R3 “Hear and Now” and a feature on BBC2 “The Late Show”. Two CDs were recorded for the Eclectic label, “Savage Dance” and “Durga’s Feast”. As the members became busy with their own projects, concerts became fewer and fewer, and their last performance was at the Edinburgh Festival 2005. However they have never officially disbanded, and who knows, may rise again. Despite a few personnel changes and periods of inactivity, the trademark eclecticism and virtuosity of the Cauld Blast Orchestra remained as ever – music of the spirit. Karen Wimhurst – Clarinets; Steve Kettley – Saxophones, flute, percussion; Iain Johnstone – Piano, accordion, tuba, tenor horn; Anne Wood – Violin; Ron Shaw – Cello; Norman Chalmers – Concertina, whistles; Jack Evans – Guitar, bass guitar, mandolin, whistles; Mike Travis – Drums, percussion (1990 – 96); Rick Bamford – Drums, percussion (1996 – 2005); Alex Hudson Craufurd – Double bass (1998 – 2005). “Symphony of Mammon” (Kettley) from CD “Durga’s Feast”. “March of the Undecided” (Kettley) from “Durga’s Feast”. A link to YouTube – a live version of “Symphony of Mammon” at the Queen’s Hall, Edinburgh, on 18 March 1994. These tapes have been lying in the vaults for almost 20 years – I’ve finally got the equipment to transfer the old videos to my hard drive. Forgive the time code running at the bottom – it’s worth it to see my favourite band in action! “In my ideal Scotland, the Cauld Blast Orchestra would fill Hampden and Murrayfield on a weekly basis” – David Belcher, The Herald. “If this lilting, swaggering, roaring, stomping bundle of fun and brio doesn’t become Scotland’s biggest export since malt whisky then that will be a crime” – Rob Adams, The Herald.